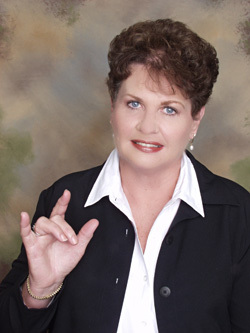 Peggy's Stitch Eraser® Is Here to Help You! A must for anyone who sews! International customers will be contacted via email after ordering about shipping rates and options. New for 2017 - introducing the Stitch Eraser® 9! 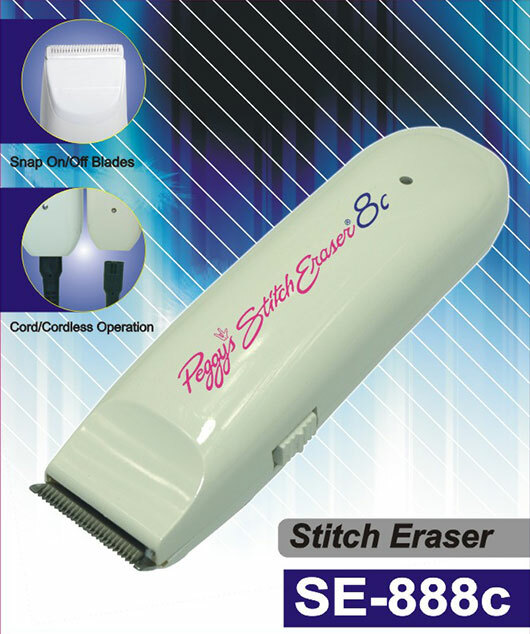 Designed to be a companion to the Stitch Eraser 3 or 8c, this latest incarnation of Peggy's famous Stitch Eraser® features a smaller cutting head to work in smaller areas. International buyers: The power supply provided with the SE-9 will require a plug adapter from USA two-flat prong plugs to the type of plug in your country. You can purchase this item locally in your country. International buyers: The power supply provided with the SE-8c will require a plug adapter from USA two-flat prong plugs to the type of plug in your country. You can purchase this item locally in your country. 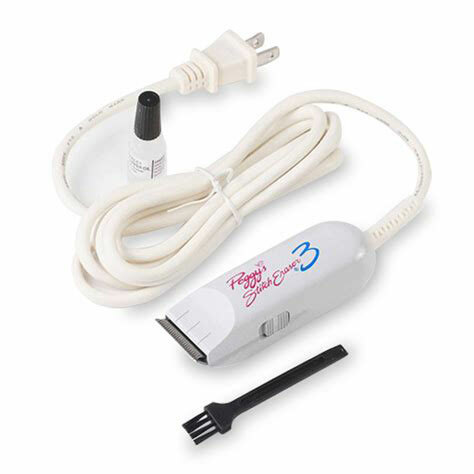 The Stitch Eraser® 3 is the most widely used stitch removal tool in the world. It is used mainly for fast FILL stitch removal in addition to all features listed in the Stitch Eraser® 8 (except cordless operation). Please fill out this form and click the SUBMIT button at the bottom. You must do this within 10 days of your purchase in order to obtain the 180-day guarantee period.